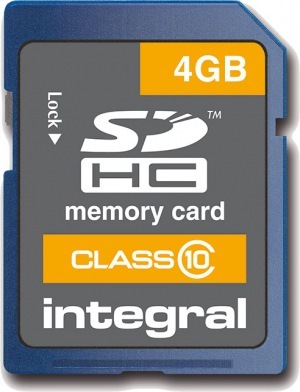 Integral's UltimaPro SDHC Class 10 memory cards are ideal for use in DSLR cameras and Full HD camcorders. UltimaPro SDHC with Class 10 specification perform at up to 20MB/s transfer speed* and are designed to be used where fast memory cards are crucial; to capture high resolution images and to shoot Full HD video. Up to 20MB/s transfer speed. Class 10 speed also enables faster data transfer from SDHC to PC/Mac (using a card reader) - makes photo and video editing much quicker and more enjoyable. Any Digital SLR camera will perform better with the use of an UltimaPro SDHC Class 10 compared to slower Class 2/4/6 speed SDHC cards. The SD Speed Class Ratings specify a minimum sustained write speed for SDHC Cards. Up to 20MB/s transfer speed (write speed lower), *based on internal testing; performance may be lower depending on host device. Op. Temperature: -25°C(-13°F) to 85°C(185°F). Not 100% happy with your order then return it to us under our No Quibble 60 Day Money Back Guarantee. Our 60-Day return policy gives you plenty of time to consider your purchase. You can return any item in its original condition within 60 days of the date of shipment for a refund or exchange. We will also provide you a Freepost label to return the memory which ensures that there is no cost to our customers. OFFTEK is proud to be one of the first and largest distributors of Transcend products in the UK, a relationship which first began in 1996. Transcend is a global company with offices around the world. Their overseas offices were opened in California, USA (1990), Germany (1992), The Netherlands (1996), Japan (1997), Hong Kong (2000), China (2000), UK (2005) and Maryland, USA (2005). Transcend is a strategically integrated Hi-Tech company, that not only designs, develops, and manufactures their branded products, but also market and sell their own devices. The corporate culture that exists within Transcend is one of professionalism and teamwork. As a declaration of their commitment to quality they implemented the Total Quality Control concept throughout the company, and became the first memory module manufacturer in Taiwan and the second in the world to receive ISO 9001 Certification. Transcend's Advanced R&D Teams have over 17 years of experience in developing quality state-of-the-art Hi-Tech products that are at the very cutting edge of technology. Their commitment to R&D ensures that we will continue to produce superior quality innovative products keeping us at the forefront of our industry and leaving the competition far behind. As a company Transcend can best be described as, a World-Class leader in the field of memory and consumer electronics, which brings you Tomorrow’s World, Today. Integral is a brand of Integral Memory plc, a company born in the UK as the PC era was just beginning in 1989. They began by supplying memory for very early PCs and data systems. Later in 1999 integral began producing some of the very first memory cards and USB drives for the fast growing digital market. Today, Integral Memory produces a wide range of memory and storage products including; DRAM, memory cards, USB drives, Solid-State-Drives (SSD) and Industrial memory solutions. Integral’s passion is to bring you the latest memory products built on quality, reliability and great prices including; SDXC memory cards, 256-bit encrypted USB drives and high capacity SSDs. 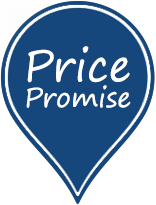 We monitor the prices of our competitors twice daily, giving you the peace of mind that our prices are the lowest online.